In addition to these events, the 23rd Annual Winter X Games starts this Thursday. 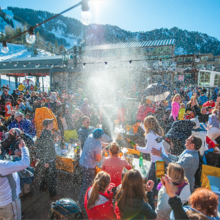 To navigate it like a pro, checkout our Local’s Guide to X Games Aspen and make the best out of your experience. The Met: Live in HD- Verdi’s Aida (5:30pm, Wheeler Opera House). Highlighting the new season, soprano Anna Netrebko sings her first Aida, going toe-to-toe with mezzo-soprano Anita Rachvelishvili as Amneris. Don’t miss the opening of the Met Live in HD series with this monumental production. More information and tickets here. 3rd Annual Lift Series: An evening with Brett Dennen (7:00pm, Belly Up). Enjoy an evening with songwriter, performer, watercolor artists, outdoorsman, and environmental conservationist Brett Dennen. His good-vibe show will keep you dancing all night. Tickets can be purchased online here or at the box office. Movies at the Museum: Land of the Dead (5:15pm, Aspen Art Museum). Join the Aspen Art Museum in this free event movie-night featuring the film that relaunched a zombie trilogy Director George A. Romero embarked on before his death. The 23rd Annual Winter X Games (through January 27, Buttermilk Mountain). See more than 200 of the world’s best athletes in the disciplines of ski, snowboard and snowmobile throw-down over four action-packed days of competition for the most coveted medals in action sports. Other event components included performances by Lil Wayne, Louis the Child, The Chainsmokers, and Kygo as well as interactive festive village elements. ACES: Naturalist Nights (6:00pm, Hallam Lake). Explore and share the topics of nature through slideshows and discussion with ACES. This naturalist night will feature the greater sandhill cranes in Colorado’s high country with retired Terrestrial Wildlife Biologist, Van K. Graham. 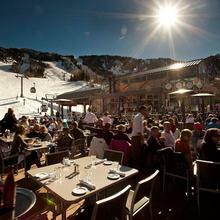 History Ski Tour: Aspen Mountain (11:00 am and 1:00 pm, meet at guest service cabin below the Sundeck). 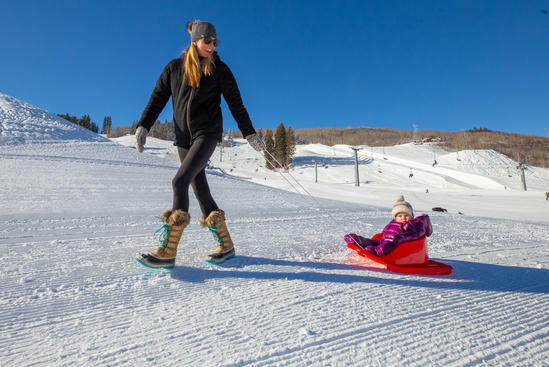 Learn about the amazing mining and ski history lying literally beneath your feet as you tour Aspen Mountain with a long-time local historian. The tours are free, but a lift ticket is required to get to the meeting location. Friday Morning Uphill Breakfast Club (8:45 am, Cliffhouse Restaurant on Buttermilk Mountain). Earn your breakfast in this Uphill Social. Uphill skiers are invited each Friday morning to enjoy breakfast in the Cliffhouse restaurant after hiking up the mountain. Breakfast is available until 10:45 a.m. and is $12. The Ute Mountaineer is now offering free uphill rentals for Friday Uphill Socials. More information here. Guided Tour: Aspen Art Museum (1:00 pm., Aspen Art Museum). This free, drop-in spotlight tour is led by museum staff and offered every Wednesday and Saturday at 1pm. Louis the Child at Belly Up (9:00pm, Belly Up). Spend your night with Louis the Child in a show that’s there to make you happy. The Chicago-bred band spends the show spreading glitzy. Electronic bliss through stadium-ready anthems. Tickets can be purchased online here or at the box office. 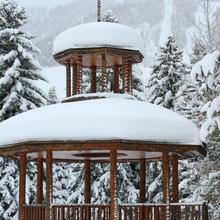 History Ski Tour: Aspen Highlands (11 a.m. and 1 p.m., guest service cabin outside Merry Go Round). Ski with a local historian to learn about Aspen Highlands’ “maverick”, innovative, and unique past. These tours meet every Monday at 11 a.m. and 1 p.m. The tours are free, but a lift ticket is required to get to the meeting location. For more information, visit our events calendar and follow us on social media @AspenCO.